On April 3rd and 4th, Portland City Council will consider Commissioner Eudaly’s renter screening ordinance, 30.01.088. The goal is good – to reduce barriers to housing. But the method is not. We urge commissioners to vote no and allow more time for collaboration. 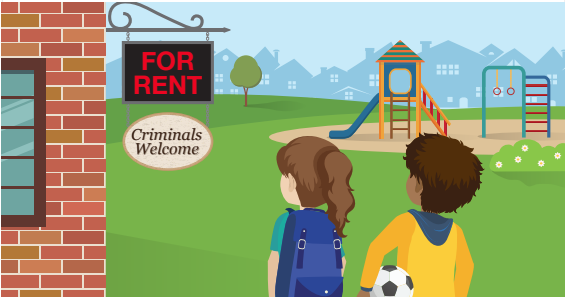 Threatens Neighborhood Safety: Rental housing providers will be required to accept applicants with criminal backgrounds where previously they did not. Ignores Collaborative Work Done on this Topic: Most importantly, the proposal fails to consider collaborative work already done between non-profit and for-profit housing providers, with the specific goal of reducing barriers to housing. Adds Costly Layers of Administration: Finally, the proposal as written is incredibly complicated. The flow chart to explain the process includes three different sections, 35 arrows, and 30 steps, resembling a game of Chutes and Ladders. Many housing providers will need paid consultants to follow the rules, adding costs to the process. Click here to email your Commissioners and ask them to delay the vote and consider alternatives.